A prayer or prayers to link the day's readings in a powerful, intercessory way. 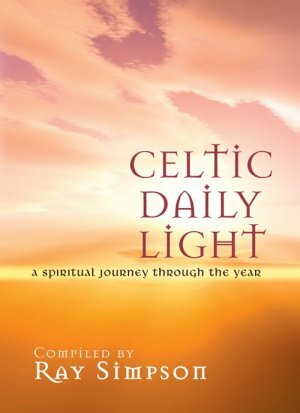 This revised edition of Celtic Daily Light will continue to inspire and guide countless people who are seeking a deeper spirituality. This is a lovely book, with rich imagery and a torrent of new ideas to refresh and gladden the spirit. Celtic Daily Light by Ray Simpson was published by Kevin Mayhew in June 2003 and is our 14357th best seller. 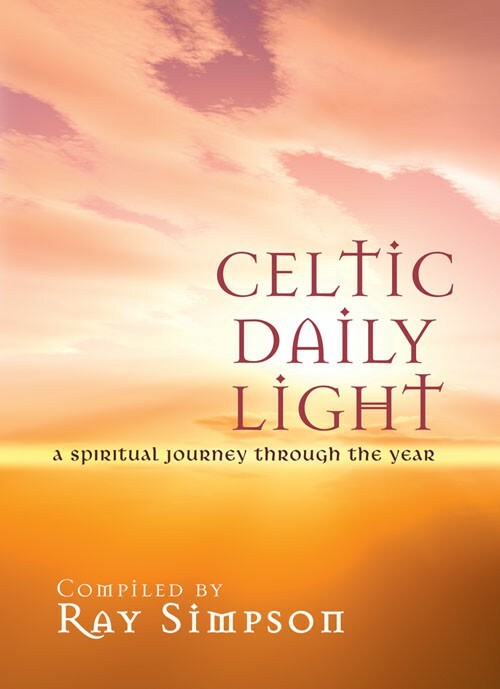 The ISBN for Celtic Daily Light is 9781844170999. The texts quoted throughout are from the NIV (1984), NRSV (1995), Good News Bible (1992) and at times the author's own translation. Layout is a page per day, with a Psalm, OT and NT reading followed by a related text or quote. Then a reading taken from writings of Celtic pilgrims, poets and saints. Also utilising sayings "of people from many lands who seem to be natural soul friends." Themes interweave with Christian and natural seasons, both God's guidance and "spiritual disciplines." This takes the book beyond bible study, by teaching about the lives of early Christians - read it with your Bible alongside and a prayerful heart! The brief introduction includes guidance for those who wish to synchronise readings with Easter. Note: there is an error in the intro. if you go to the advised www.aidan.org.uk website you'll find another individual entirely! The correct link is www.aidanandhilda.org.uk. Although not covering the whole Bible, it does cover all biblical books over the course of the year. Or however one chooses to use it! The readings link to a degree, but also stand alone. Usefully flexible if, like me, you sometimes spend two or three days on one page; and on other days cover two or more pages (dates) together. You can begin at the beginning and ignore the dates; or read the date for the day. If e.g. you flick to 25 February, eye perhaps caught by mention of the familiar name of St Patrick, then find yourself reading of the Desert Christians and thinking "who? ", a quick check in the index will show you the date where they are first mentioned. The term "Celtic Church" is used "as shorthand for churches in Celtic lands within the one, universal Christian Church during the fifth to tenth centuries after Christ." The author is the Guardian of the Community of Aidan and Hilda. Ordained as a C/E minister in 1964, he is described as "recognized as a Methodist, a United Reformed minister, as a minister to Baptists and as a Quaker adherent." Co-founder of the international Community of Aidan and Hilda in 1994 and appointed Guardian, he moved in 1996 to The Holy Island of Lindisfarne as 'a post-modern monk' where in 2000 he opened the Open Gate Retreat House. The only thing missing is page numbering, which arguably is unnecessary as everything is referenced to the dates. Although if being pedantic this does make the indices at the back somewhat cumbersome! As does the lack of column format for the listing of bible passages. The really pedantic will find they have to look up the quoted passages if they want to check which of the above bible translations applies, as they are not individually noted. In short, it looks suited to various styles of individual learning and worship, suitable for daily or ad hoc reading, enabling a quick "thought for the day approach" or a longer session, looking up any or all of the 3 readings for the day. For those with other commitments for their daily Bible reading (or a grasshopper mindset - check out Ruth Fowke's "Personality and Prayer" if you're being made to feel a failure on that!) it is possible to dip in and out, to read about a subject or person, rather than rigidly adhering to the day by day approach. Others will find they whiz through several pages at a time. This will not, for most people, be a book quickly read, nor even one studied over a few weeks, then set aside; but one that is picked up either daily, or for occasional variation to other study. Got a question? No problem! Just click here to ask us about Celtic Daily Light.